To get the facts on the killings of Serbian Muslims, David Rohde had to hide and change a few facts himself. Rohde visited the Sahanici area in October for three hours without the permission of Bosnian authorities and changed the date of issue on a Bosnian Serb press accreditation from "19/12/94" to "29/10/95." When is a journalist's deception a violation of ethics, and when is it necessary on higher moral grounds? Not all organizations have a formal ethical code of conduct. Those that do mainly deal with how the journalist should be fair, impartial, and not accept gifts from any organization. There are no formal regulations as to how reporters should behave under the complex challenges they face. 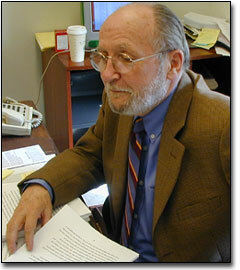 "There is no hard and fast rule," said James Carey, CBS Professor of International Journalism at Columbia University. "The general rule is that you are governed by the same standard of conduct and ethics as other people. You don't lie and you don't deceive. But we also recognize in our everyday conduct that we do these things if there is a larger interest involved," said Carey. He cites the 1971 case of The New York Times and the Pentagon Papers to point out an incident where the end result did not justify deception. The New York Times had received stolen secret documents that documented the involvement of the United States in Vietnam. "If the justification for publishing the Pentagon Papers was the public's right to know, as many assert, the right was in force on the day the Times received the papers. The Times chose to withhold publication for some months for editorial reasons. So, Times chose to frustrate the public's right to know for some months in order to serve its own needs and interests. If there were real ethical violations in the case (and while I believe there were, it remains arguable), it was the accepting of stolen property and the exhibition of disrespect for the court," he said. He added that those ethical violations were justifiable if the stories that resulted showed that the dangers to the republic were of a great magnitude and seriousness. "As the Pentagon Papers in and of themselves do not show such a danger to the republic and could only be made to do so if other information and interpretations were not added to the papers, and given that the danger was remote enough to warrant delay of publication for three months, I believe the justification for the breach is very weak," he explained. According to Carey, crimes against humanity merit that justification. After World War II, he said, the term "crimes against humanity" has entered common usage. "These are crimes that you can't justify. You can't say these crimes are right because the United States or some other country committed them in war. It's not justified. So, to publish a story that reveals these crimes, even if you use methods that are deceptive, is justifiable," he said. Even though most organizations don't have a policy on it, Carey said they do have some norms that are a part of their culture. "They have in-built red flags. They will let you make your own judgment but it has be to be morally informed," he said. "But I, myself, would be uncomfortable about making a decision without consulting my editor. It's not asking their permission but informing them. After all, you are trading on the credibility of your organization. However, there are occasions when you don't have time to inform them," he said. As Carey said, in the final analysis, deception is justified when a story is important. "What I hate is when reporters use hidden cameras and the story is inconsequential. It should not be just cowboy heroism," said Carey. "If the story is not justifiable, all we are left with in the end is a morally flawed act."